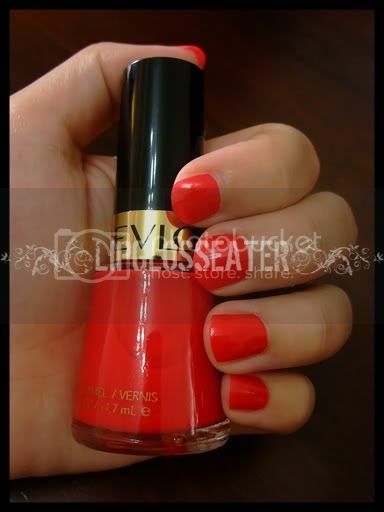 Likes: Beautiful pigmented glossy color, long lasting, dries quickly, cheap, easily available. 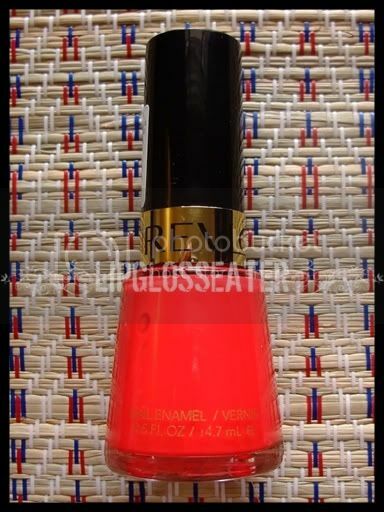 Revlon Nail Enamel delivers gorgeous smooth, chip-resistant color to nails. This is the perfect chili red color! 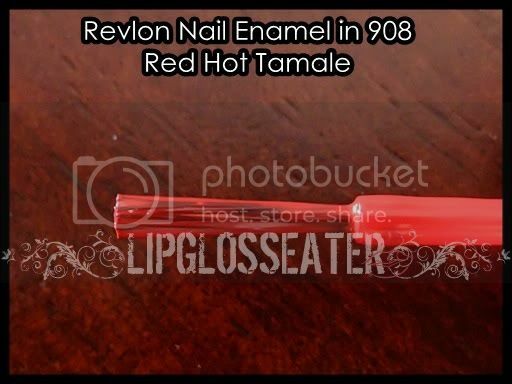 :D This polish is quite pigmented - 1 coat is opaque enough to cover your nails, but 2 coats will just give you that amazing bold red color that not everyone can carry off (yours truly included!)! Here's what the other girls think about this red hot baby! Hiii :), i dont know how, but i d found your blog. Your blog is amazing and also your cute dog Cookie. That's a beautiful red, it looks so bright! Cookie looks so cute too. if only revlon prices arent so marked up in SEA.. my friend got revlon polishes in Hong Kong for like S$4. I think Jap brand are cheaper in HK but not so much Revlon, Maybelline etc unless there is a sale? Anyway I never quite check those prices everytime I am there. Next time perhaps. I love the colour on you, on my monitor looks like a cool coral. Love teh flowers you added too. i want that red nail polish! LOL i dun think i got any leh! Thats what I am wearing right now, looks great, Keith.